If you’re looking for change this year in your home, why not consider some of the hottest new trends in flooring? Traditional flooring options abound but these striking new trends are sure to impress friends and family alike. No matter what your floor plan looks like, these eye-catching styles can be adapted to give your home a fresh new look and feel. Bamboo flooring has become tremendously popular not only for its beautiful appearance and hearty durability, but also because of its sustainability. Bamboo grows quickly and can be harvested with minimal impact on the environment. It is the perfect material to handle the wear and tear of daily life in high traffic areas. 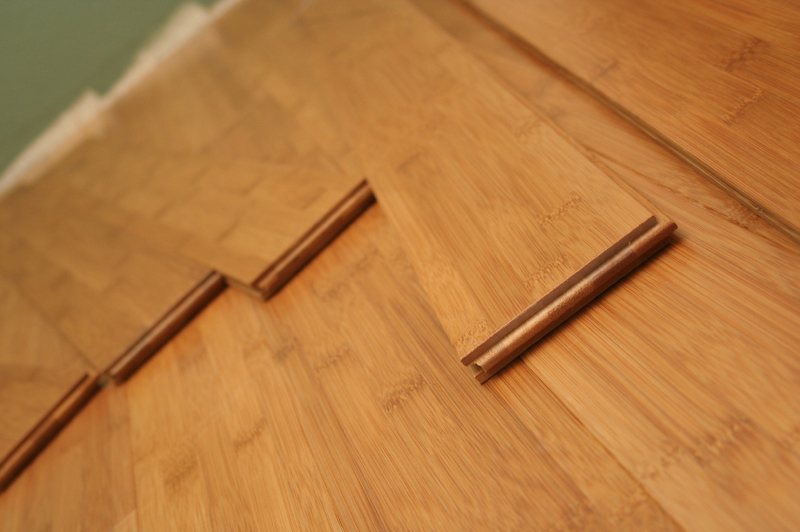 Another great sustainable flooring trend that has recently emerged is recycled flooring. Tile and other flooring options can be made from recycled materials to reduce excess waste. Glass bottles, brick, and old tiles are recycled to reduce impact on the environment .The end result is a strong, durable floor that allows you to be proud of doing your part. For those who want a more hands-on approach to their flooring, snap-in linoleum and vinyl tiles are on the rise as an attractive and affordable DIY solution to remodeling your home. The prefabricated pieces snap together with no need for glue. The linoleum is strong, durable, and perfect for high traffic areas. Many of these products are made from naturally sourced materials making it a smart choice for the planet and your family. It may sound strange but leather tile is a quickly growing trend in luxury homes. These tiles are strong enough to resist wear and tear and actually tend to get more attractive with age. Not only do these tiles look elegant, they stay warm in the winter and cool in the summer. You’ll never have to worry about cold feet in the morning again. Going green doesn’t mean you have to skimp on elegance. Manufacturers are now recycling materials like nylon to create ultra-plush, high-end carpeting. It can be used to recarpet your entire home or just to bring a new life to your favorite spots. These carpets are so soft and luxurious that many people are now installing them in their bathrooms. No matter what you’re searching for, don’t hesitate to contact Flooring HQ for any of your flooring and carpeting needs.